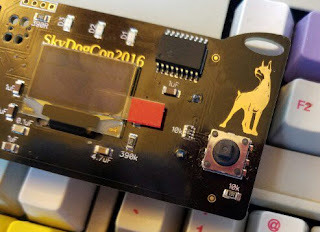 SkyDogCon is proud to announce that Rich MacVarish will be speaking again at SkyDogCon 7. Hurricane Harvey ravaged Houston and many other parts of Texas. Rich will show how technology was used to help many during this natural disaster. The Hurricane Harvey disaster response saw an amazing outpouring of volunteers. This presentation will discuss so me of the technologies used to "herd the cats". We'll be covering the ad hoc tools used by the Cajun Navy, the MO Task Force, and how these groups integrated with local agencies to aid the response and relief efforts. Rich MacVarish works at a large government contractor and also is the founder of Prevail Global, LLC providing custom security assessments and tactical technology solutions. Rich has over 20 years experience in both government and commercial sectors. He has been held a variety of contractor positions for Department of Defense and multiple intelligence community partners. On the commercial side Rich has worked in multiple security roles at HP and Verisign.